Pull-out shelf with a writing surface of 44"
The Harloff Wood Vinyl 540 Punch Card Medication Cart is a medical storage device with a natural furniture look yet not sacrificing the greater functionality of standard Harloff carts. Awesome Design. With a vinyl coated aluminum construction, the 540 Punch Card Medication Cart is lightweight and features four drawers that are mounted on ball-bearing, full extension slides. The drawers are configured with one 3" multipurpose storage drawer, two 9.75" Punch Card Drawers with 2 Adjustable Dividers and one 9.75" Punch Card with locking narcotics box and adjustable dividers. Hassle-free Movement. 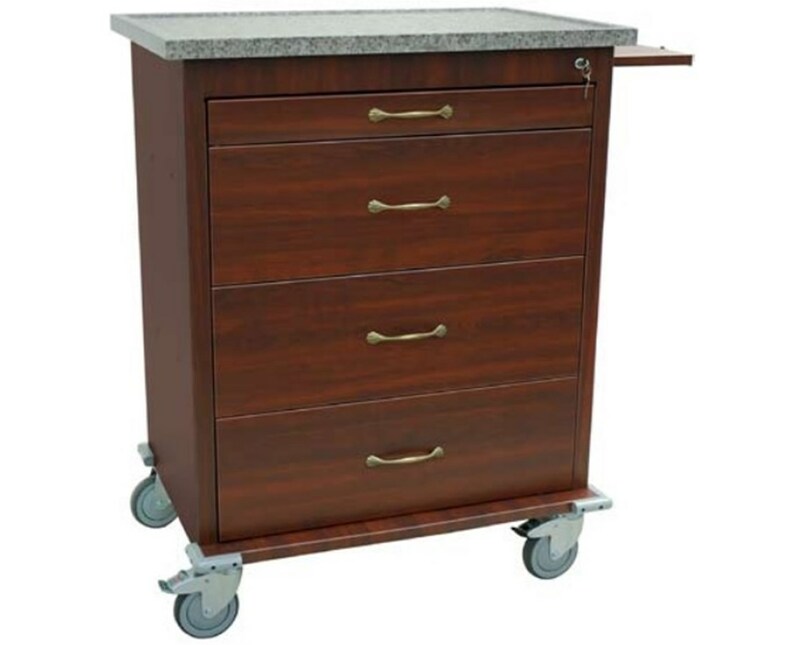 Mounted on 5" Premium Ball-Bearing Full Swivel Casters with one directional and two with toe-locking brakes, the Medication Cart can easily be moved around the facility. The base of the cart has a bumper frame with projected front casters and corner bumpers for added protection during collisions. 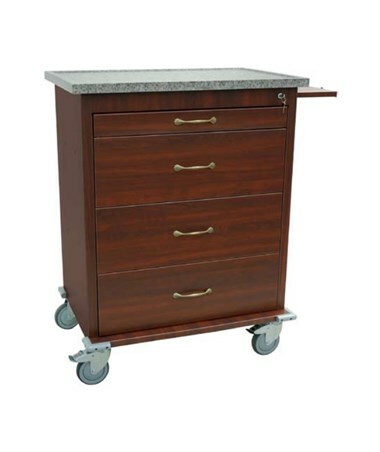 With such a dramatic range of functionality, this cart is perfect for a variety of situations and work environments. Number and Size of Drawers (1) 3", (3) 9.75"